Written by David Zelenka. Written on 30 September 2013 . All too often we force what someone else says into our box of understanding. We hear what we want to hear rather than what is true. Consider the parables of Jesus. Talk about ambiguity! His statements, stories and parables were designed that way. The 'righteous' would hear one thing and 'sinners' would hear another. Ambiguity was a design feature of Jesus' parables. Ambiguity may even be a method of defense in the Gospels. Written by David Zelenka. Written on 01 October 2013 . For various reasons I am being increasingly convinced that really and truly the only real direction for the Church to take is to become poor. When I say poor, I don't mean only poor in spirit, I also mean poor financially and poor materially. In doing so, a number of interesting things will happen to us and to our churches. Written by David Zelenka. Written on 02 October 2013 . It never ceases to amaze me how parables are twisted to fit our desires. The Parable of the Shrewd Manager is at the top of the most-twisted list. What do we expect, it's about the love of money. How often is it preached that we should be shrewd like the shrewd manager because the master commended him? But does Jesus want us to be shrewd? Shrewdness implies a level of trickery. And who is the manager's master anyway? 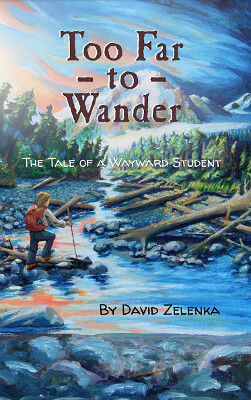 Written by David Zelenka. Written on 04 October 2013 . The Parable of the Sower may be the most important parable, not only because it is here that Jesus teaches us how interpret all the parables, but more so because Jesus lays out a map for building a good and noble heart. Even though Jesus explains this parable literally, we still cannot understand it without the encryption key. And even with the key, which he does clearly give us in the Parable of the Lost Sheep, you still may not understand, because it is the shape of the hole in your heart that is needed for the key to fit. How much time do you spend primping your life so you'll fit in with the crowd? We all spend time trying to fit in with our social groups. It's natural for the human species. Nevertheless, Jesus explains when we do this we live in very dangerous territory. We focus on belonging rather than being loved by Christ. Being loved by God should be our highest aspiration. But how can we make ourselves good enough to be loved by God? We can't. Who do you think Jesus loves most? You may be surprised at the answer. Written by David Zelenka. Written on 07 October 2013 . The more we learn about Jesus the more we realize how unworthy we really are. We hear about how "faith" saved and healed the people who flocked to Jesus. Our response can be like that of the disciples, "Why don't I have that level of faith." In the Parable of the Unworthy Servant, Jesus explains to his disciples exactly how to increase their faith. Written by David Zelenka. Written on 08 October 2013 . The Parable of the Good Samaritan might be the most well known of Jesus' parables, partly because it is so simple to understand and also because churchgoers learn it in Sunday School at an early age. But how well do we really know it? In order to really understand it we must put on our sinner's ears and our repentant heart and look deeply inside. Written by David Zelenka. Written on 09 October 2013 . Once again, with the Parable of the Ten Minas (or the Parable of the Talents from Matthew), we find a parable that has deep layers of ambiguity where sinners will hear one thing and the false-righteous will hear another. This parable has been cited to support usurious lifestyles and to justify the rich's oppression of the poor. It has also been used to explain how some in heaven will shine brighter than others. But what did Jesus really mean by it? Written by David Zelenka. Written on 10 October 2013 . We sinners must drink deeply of the new wine that Jesus offers us. But you'll find the Pharisees of today still trying to keep the new wine from the lips of Jesus' disciples. In the Gospel of Luke, the Pharisees once again try to trap him when they ask why his disciples drink and eat with Jesus rather than fasting like John's disciples. Jesus responds to the Pharisees saying, "It is not the healthy who need a doctor, but the sick. I have not come to call the righteous, but sinners to repentance." The Pharisees are implying that association with sinners is desecrating. But the opposite is true. When Jesus associates himself with sinners he consecrates them. Written by David Zelenka. Written on 12 October 2013 . The Parable of the Wedding Banquet is the last in a series of parables which indict the chief priests and elders in their efforts of keeping the kingdom of heaven from the people. In Matthew 23 Jesus exclaims, "Woe to you, teachers of the law and Pharisees, you hypocrites! You shut the door of the kingdom of heaven in people's faces. You yourselves do not enter, nor will you let those enter who are trying to." This series of parables directly accuses the leaders of spiritual fraud. Written by David Zelenka. Written on 14 October 2013 . Each autumn we usually make a bucket of sauerkraut for the winter. To prepare it, my wife buys an enormous cabbage from our local market. I shred the cabbage, put it in a sterilized bucket with salt and spices, and beat it with a 2x4. After I put a weight on top, I seal it up with a one-way air valve, so oxygen can't spoil the lactose fermentation process. Salt-curing was the main way of food preservation for ages. When Jesus talked about salt to his listeners. They knew it was all about preservation. They knew they were learning how to be preserved and preserve others for the kingdom of heaven. Written by David Zelenka. Written on 17 October 2013 . "Keep watch," Jesus says. But keep watch for what? When we are vigilant for Christ should we be watching for just the right guy to rise to power? I doubt it. Just the other day, I was driving down the highway by myself and missed a chance to pick up a hitchhiker. I chose not to stop for him because I was in a school district vehicle. But was Jesus in that man? Could my relationship with Christ have grown deeper by helping him down the road? I was off in my own head, rather than being ready to help someone out in the name of Christ. Vigilance was key, but I missed the opportunity. Written by David Zelenka. Written on 19 October 2013 . Autumn has settled in and slowed us down here on the Olympic Peninsula. The big-leaf maples are turning yellow. The rains have begun. It's the time of year that we gather our winter supplies and we cozy up together. We glean apples with friends from the unused orchards for cider pressing. We spend a good deal of time canning fruits and storing up the other beautiful vegetables from our garden. I enjoy taking the kids out to the state lands to cut wood for our firewood stack for the following winter. Both my wife and I just love this time of year. We drink a lot of tea and spend the darkening evenings warming up next to our wood stove. What a life, right? But doesn't Jesus call that sort of activity folly in the Parable of the Rich Fool? Written by David Zelenka. Written on 20 October 2013 . How often have you prayed and prayed about something and God did not respond with what you considered a just and right response? This is a common experience in the life of all Christians. Why? Doesn't Jesus tell us, "If you, then, though you are evil, know how to give good gifts to your children, how much more will your Father in heaven give good gifts to those who ask him!" How do we reconcile our prayer life with God's words? Does he really give us what we ask for? Written by David Zelenka. Written on 21 October 2013 . Most of us at one time or another have asked, "Why do bad things happen to good people?" But I'm not so sure that's a valid question. It's like asking, "What's nine divided by zero?" Rather, I feel we should be asking, "Why do bad things happen in God's good world?" Written by David Zelenka. Written on 25 October 2013 . How often are you tempted to forgive someone only when they ask for forgiveness? In Matthew 18, Peter asked Jesus how many times he should forgive his brother. Jesus answered, “Not seven times, but seventy-seven.” Note that the question is not posed like this: “If my brother comes and asks for forgiveness, how many times should I forgive him?” We are called to forgive others even before the person asks. Forgiveness is a continuous process that happens throughout our lives.